Gala received an AOM at the 2003 Greater Twin Cities Specialty under breeder Judge Fred Dewsbury. 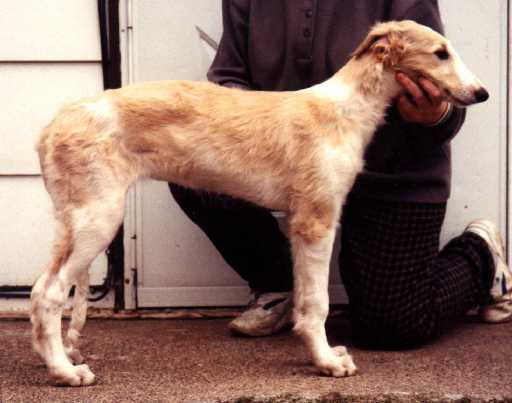 Gala has full dentition, a scissors bite and good pigment. 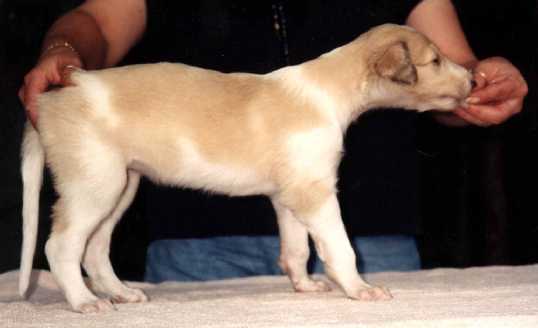 She is sound on the down and back and has beautiful side movement. 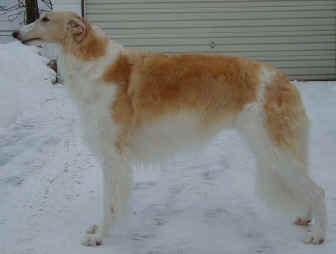 Gala is CERF clear and OFA cardiac and thyroid normal. 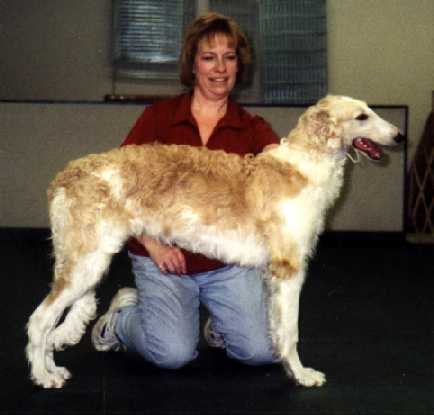 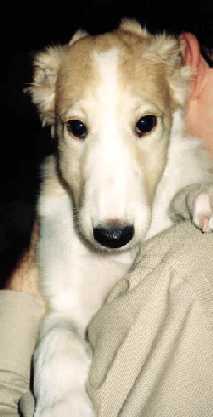 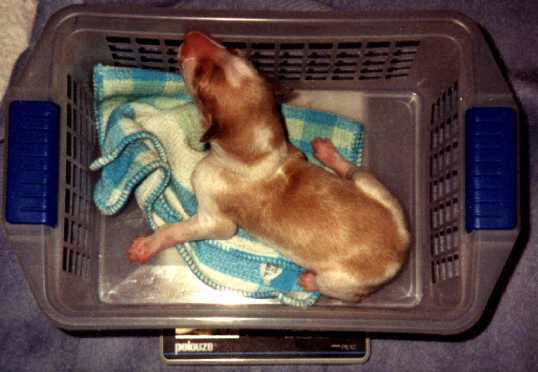 Notable wins in 2002 include an AOM at the Midwest Borzoi Club Specialty at Detroit, under English breeder judge Graham Hill, BOB at the BCOA supported entry the next day under breeder judge Barbara O'Neill and BOB at the BCOA supported entry at the Lake Minnetonka KC, following the GTCBC specialty, under breeder judge Shen Smith. 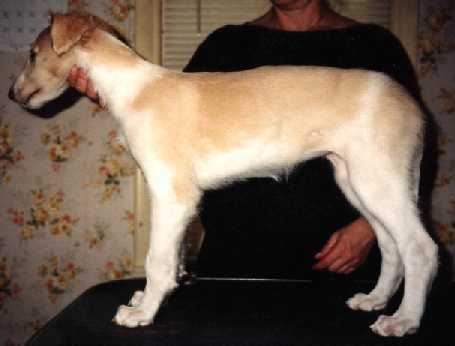 Gala made us proud by taking BOS under Sighthound Judge Lt.Col. 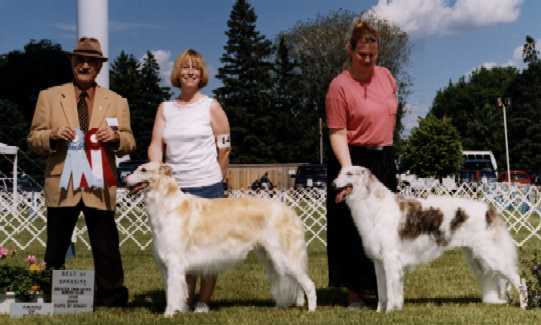 Wallace Pede at the Greater Twin Cities Borzoi Club Specialty in June 2001. 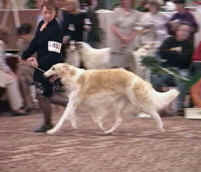 This was her first time back in the show ring after taking BOW to finish at this Specialty last year. 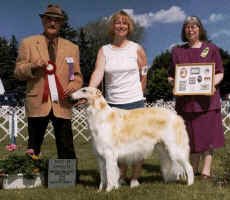 Not to be outdone, her dam Ch Greyhaven Holly received an Award of Merit. 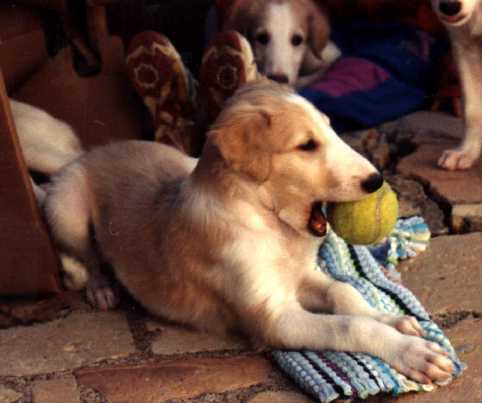 Gala is our "party girl" who has lived up to all our expectations and more! 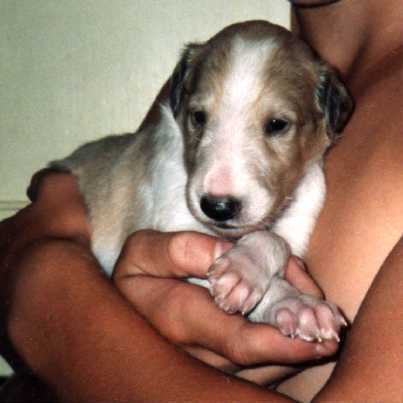 She is the one I picked on the day she was born, and I have never changed my mind. 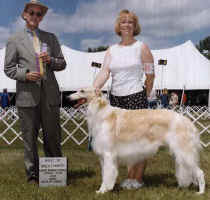 Highlights of Gala's short show career are placing in the 6-9 Sweeps and regular classes at the Midwest Borzoi Club Specialty, the 9-12 Sweepstakes class at the Borzoi Club of America National Specialty and she was BOS in Sweeps at the Greater Twin Cities Borzoi Club Specialty in June 1999 under judge Kathy Wright. 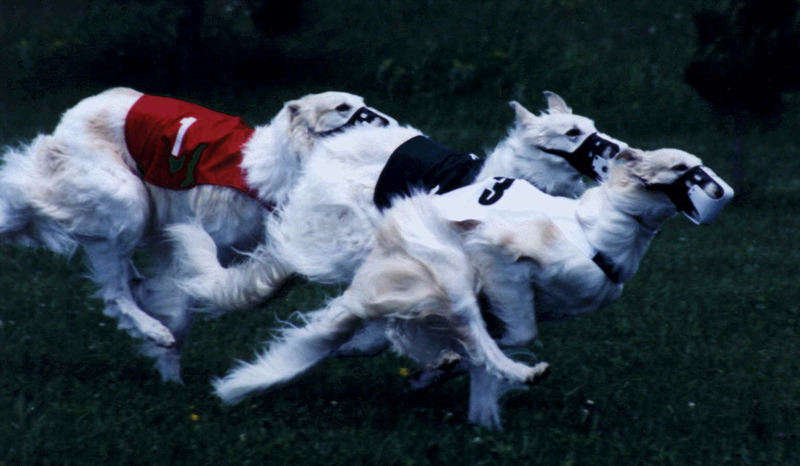 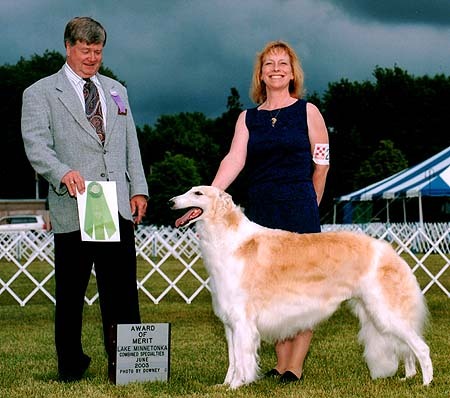 Gala took BOW for her third Major (5 points) to finish at the Greater Twin Cities Borzoi Club Specialty on 6/9/00, under breeder judge Gwen Post. We are so proud of our first homebred Champion, especially since she was not yet 2 years old !